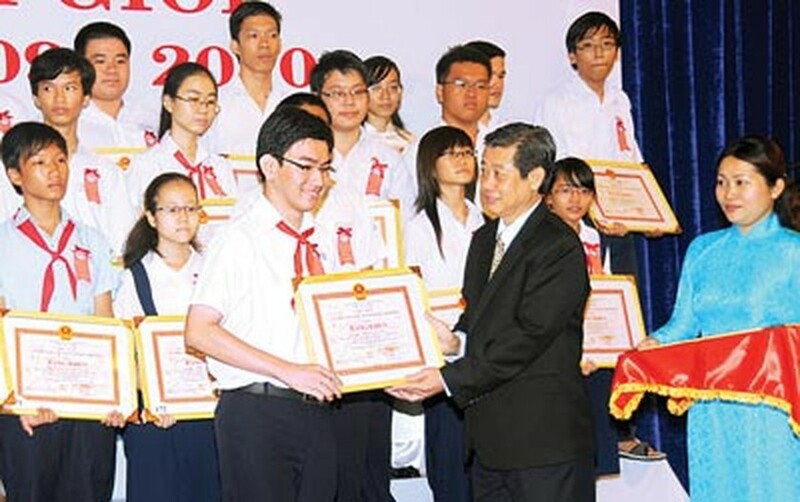 Cheers erupted at the Thong Nhat Palace (Reunification Palace) in Ho Chi Minh City on July 15, honoring 174 exceptional students from the 2009-2010 academic year. The city has 4,070 “city-level" good students, including 2,161 junior high school pupils and 1,909 seniors in high school. Each student has showed their self-confidence through their accomplishments and knowledge. Despite coming from different backgrounds, they are share the determination to excel in their studies. Eleventh grader Tran Anh Minh Tho, of the Le Hong Phong high school for gifted students began learning French in her first class inspired by her grandfather, the only French-speaking member of her average income family. Since then, she has developed the habit of striking up conversations with foreigners anywhere, anytime; accordingly, she is as fluent in French as she is in her mother tongue. However, she does not neglect other subjects. The eleventh grader wishes to become a successful businesswoman. She does not value studying abroad highly, feeling that self-studying and the practical applications of knowledge are much more important. Meanwhile, fifth grader Pham Tien Dung of the primary school Hong Ha in district Binh Thanh, who won a bronze medal in the mathematical puzzle solving computer contest became confused to during the presentation of awards. Unlike other kids who play games on internet, the boy spends much time on the computer solving math equations. 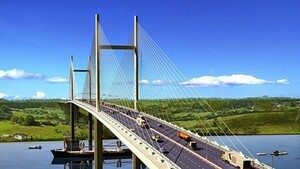 Vice Chairman of the municipal People’s Committee Hua Ngoc Thuan spoke highly of students whose achievements are so excellent, saying he expected them - precious treasures of the city – to continue their shining academic example.